Thinking about recompense and repayment for doing righteous deeds and for praying in secret is an odd experience when you’re doing a year of service through a faith-based organization. Am I supposed to keep secret the work that I’m doing during this year? Should I quietly go about it and not share my experience with others? Is it wrong for me to want to tell my stories from my placement? Do I expect recompense from God for this year of service? To answer those questions, a colleague suggested turning toBrazos Theological Commentary on the Bible: Matthew by Stanley Hauerwas. Hauerwas cites Bonhoeffer when questioning how to be the light of the world (Matt. 5:16) while also doing righteous deeds in secret. He writes, “According to Bonhoeffer, the hiddenness that should characterize the disciples’ action applies to the disciple” (p. 74). Hauerwas expands on this idea by saying that we must be apprentices of Jesus and learn to forget ourselves in our actions and act selflessly as Jesus did instead of doing such things for praise and recognition. There’s a subtle beauty of the Lenten season of fasting and praying beginning with Ash Wednesday falling on St. Valentine’s Day. Instead of worrying about all of those questions, perhaps my prayers and meditations should be on how I can follow in Christ’s way by selflessly loving others just for the sake of loving them and expecting nothing in return from them or from God. Focus on Spirituality: As I’ve journeyed in my spirituality this year, I’ve questioned why I believe what I do. In conversations with those who have different beliefs, I’ve learned that there’s truth in everyone’s spirituality and that none is inherently better than others. As I’ve struggled with this reading and with how I express my spirituality, I’ve learned that it’s okay to question what I believe and that growth and strength of conviction come from those conversations and that struggling. This passage confirms that for me as I continue to live out and journey in my spirituality during this faith-based year of service. 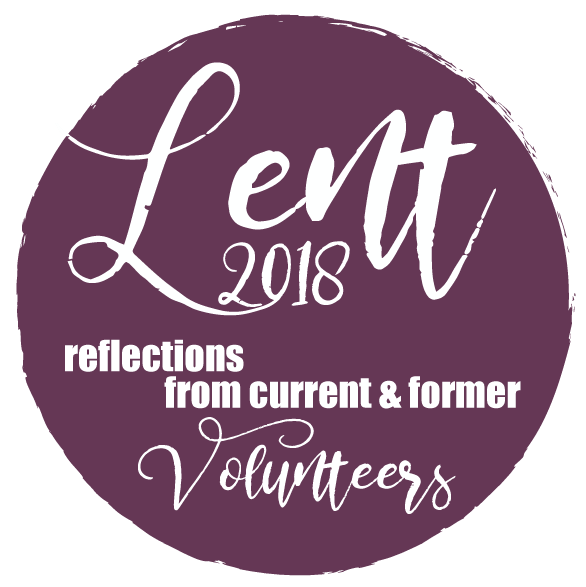 Service Suggestion: During this Lenten season, I challenge myself and others to engage even more deeply with your communities. There is so much to learn about our communities and the work that is being done there. 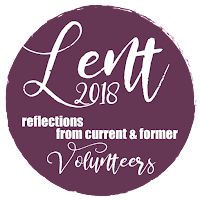 Throughout Lent, I challenge myself to listen more intently to the needs of my organization and my city and to ask of others what I can contribute instead of giving alms without research. About the Author: Hailing from Erie, PA, Katrina Buchanan is serving as the Evangelical Lutheran Church in America’s Justice for Women program assistant in Chicago through the Lutheran Volunteer Corps. She is a graduate of Robert Morris University in Pittsburgh, PA with a degree in English, a minor in public relations, and a secret minor in theater. A former hockey player and a lifelong hockey fan, she can be heard coaching the Erie Otters from the stands when visiting home or through enthusiastic tweets while she serves in the Windy City.